Welcome to Batch Bathrooms online. 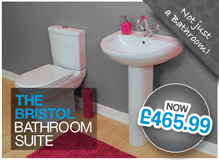 We offer an extensive range of bathrooms, plumbing and heating products at competitive prices. We've been selling in store since 2009 and have thousands of happy customers across the UK. But now you can shop in the comfort of your own home and have your order delivered to your door in next to no time at all! 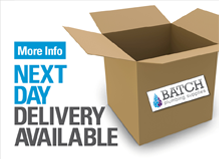 All our products are recommended by our expert plumbers, so whether you are looking for a complete bathroom package for under £399 or the latest in plumbing products rest assured that we have it all. Our sales team have over 30 years experience in the plumbing and bathroom industry and will be able to assist you with any queries you may have during the selection of your products for your dream bathroom. If you have any queries on the products we sell or need more advice call us on 01278 788 145. 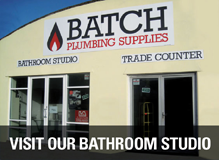 We hope you enjoy your shopping experience here at Batch Bathrooms.